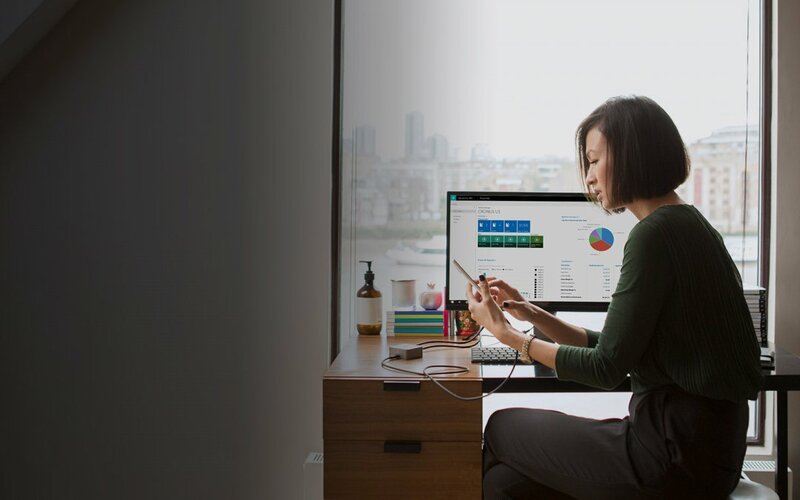 On June 30th, Microsoft brought the news that Dynamics end user customers, top Dynamics partners, and Dynamics consultants have been waiting for: it announced the release of Dynamics 365 Business Edition for Financials. It’s also renamed it – it is now Microsoft Dynamics 365 for Finance and Operations, Business edition (you can read more about the recent Dynamics 365 name changes here). Microsoft’s Dynamics 365 websites have now been updated with pricing and access to the Dynamics 365 free trial versions. The new release comes with many new features and capabilities – list and links are available below. Read on! It is now possible to easily migrate data from QuickBooks online to Dynamics 365 Business Edition for Financials. The new Accountant Portal allows accountants to access and manage their customer data on Dynamics 365 for Financials. The General Ledger and other journals now benefit from the Edit in Excel functionality. Costs can now be assigned to items in your inventory by using Item Charges. Dynamics 365 for Financials can now identify missing item quantities from sales orders and allows creation of corresponding purchase documents automatically. The processing of printed invoices is now easier thanks to the new Lexmark ICS Vendor synchronisation. Bookings made through the Office 365 Bookings App can now be invoiced in Dynamics 365 for Financials. The synchronization between Dynamics CRM and Dynamics 365 for Financials has been improved: it can now be entirely done automatically. The progress of the synchronization can be tracked via the CRM Full Synch review page. The UK release comes with an interesting UK-specific feature: Dynamics 365 for Financials can now integrate with the HMRC GovTalk service. The full details for each of the new features listed above are available on the Dynamics community blog article: NEW RELEASE: Dynamics 365 for Financials is better than ever. To keep track of the Dynamics 365 new and upcoming features, keep an eye on the Dynamics 365 Roadmap. Want to know if Dynamics 365 for Financials is available in your country? Check this Dynamics 365 Geo Availability document. Maybe you have been through Microsoft Dynamics NAV training or Microsoft Dynamics AX training, or maybe you want to learn about the new product from scratch? Either way, you can read more about the latest Microsoft Dynamics 365 training courses and Microsoft Dynamics certification exams here. Keep ahead of the crowd on Dynamics 365 news and get access to free, exclusive Microsoft professional resources (including free Dynamics training for independent consultants): register with 365 Talent Portal! 365 Talent Portal is the online platform that enables thousands of Microsoft Dynamics consultants to improve their Dynamics careers and their technical, consulting, and soft skills, as well as advertise their profiles whenever they choose to look for Dynamics jobs. This profile gives the best Microsoft partners and Dynamics end users instant, direct access to the Dynamics consultants if they want to be contacted. With a network spanning 114 countries, 365 Talent Portal allows companies to search for consultants based on their detailed skills, rates and available dates, to find the best permanent and freelance consultants for their projects. Companies can find and employ them via a very low cost Dynamics recruitment model on either a freelance or permanent basis, without incurring the hefty fees typical of recruitment agencies.